So when I saw that there was going to be a prequel of sorts with this book–and one that focuses mostly on Captain Hook–I was sold! 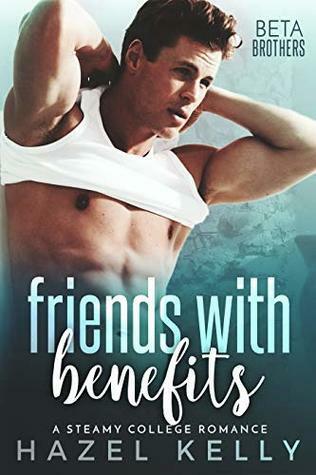 When I started reading this, it reminded me a lot of Wicked: The Musical in the sense that in this prequel, you have two well known enemies start as friends. And the focus is even on the “villain” character (Hook in Never Never and Elphaba in Wicked) more so than the “hero” character (Peter Pan and Glinda) in each case. But are they really the villain? Or are they just misunderstood? That’s what each story tries to convey and I love that approach–well, more so in Never Never than in Wicked. Back to Never Never: I thought the take on Neverland was really cool. The idea that it’s fuelled by dreams really works for the story. The world itself is easily recognizable to fans of the various mainstream adaptations but it also has this darker feel to it–which was my favourite part. It doesn’t shy away from death or violence–which is what you want (or at least what I want) when I read about a pirate. That doesn’t mean it is gory or extremely violent–all I’m saying is that there are consequences when boys fight with swords and I liked the unpredictability the story had as a result. I’m not sure what I was truly expecting the plot to be when I heard about this book. I think at first I thought it would be high action but when I started reading, it felt more like an adventure/coming of age story to me. There are definitely action scenes and definitely moments of suspense but I felt like a majority of the time was focused on James trying to deal with his situation in Neverland and his budding rivalry with Peter. I think some people might feel like that focus makes the story dry at times because I know I initially thought that too. But as I got further into the book, I really became interested in James’ story. And I realized that the reason I truly picked up this book was because I wanted to know more about James Hook the character and how he becomes Captain Hook. Casting Peter Pan as a villain really gives this story an interesting edge and made me think twice about how I perceive the whole Peter Pan persona. Is he truly saving the Lost Boys or is he just projecting his ideals on others? It also makes you wonder if it truly is a good thing to remain as a child forever; that even if you don’t grow up, you can still lose your innocence but doing foolish actions. Perhaps a little too deep for this book? Maybe, but I enjoyed the thoughts it provoked in me. As for Hook, I didn’t think I would have anything in common with him, but I easily attached myself to his character. Like him, I always wanted to grow up. People always say I’m extremely mature for my age and I think that goes hand in hand with being the oldest child AND the want to do things in life that you have to be older/more responsible for. I liked watching Hook’s character develop and grow. And what I liked even more is that he makes mistakes. He isn’t perfect, he chooses to do some not so bright things and he learns from them. I love that about coming of age stories! It really grounds him from being this over the top villain that I watched as a kid to a real boy who is human too. I love when stories can make me empathize with a villain or make me feel something I would never have felt about them before. I’m not sure why I didn’t see the romance coming. In hindsight it seems so obvious to me. But nevertheless, I was a little surprised that there was a romance when I first started reading and that it does play a pretty significant role in the grand scheme of things. In the end, I really enjoyed that aspect. It really worked for the story and those moments were some of my favourite in the entire book. If you have ever wanted to know what caused Captain Hook to be the notorious villain he is, this is the book for you! It is Hook’s coming of age story that really makes you double-guess about what you know about Neverland and Peter Pan! This is one of those books I keep seeing reviews for everywhere, and it’s giving me book envy because I don’t have it yet! It’s also making me really want to reread the original Peter Pan. It sounds so good! I know! I was so happy when I got approved to read it! I really want to watch the Disney movie now that I’ve finished it. I’ve never read the original Peter Pan but I definitely want to try to read it later this year! I hope you get a chance to pick it up!